Well you would do wouldn't you! 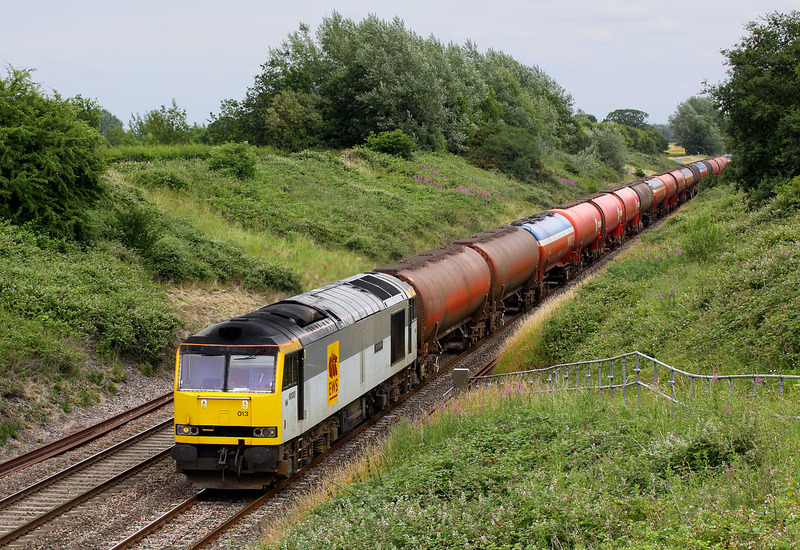 After seeing 60013 Robert Boyle pass Denchworth with the 6B33 13:33 Theale to Robeston Murco oil empties on 8 July 2010, a quick dash was made to Baulking for a second shot, while it sat in the loop at Challow waiting for a couple of HSTs to go pass. After months of Class 66 haulage, this marks a return to proper traction for this long running train, and in on this occasion a loco in a decent livery as well, rather than drab EWS red!